Whether you feel a bit nervous when you have a pregnant woman in your class, or you feel drawn to support women in this potent life transition, The Yoga of Pregnancy and Postpartum will give you new confidence and clarity as a yoga teacher. 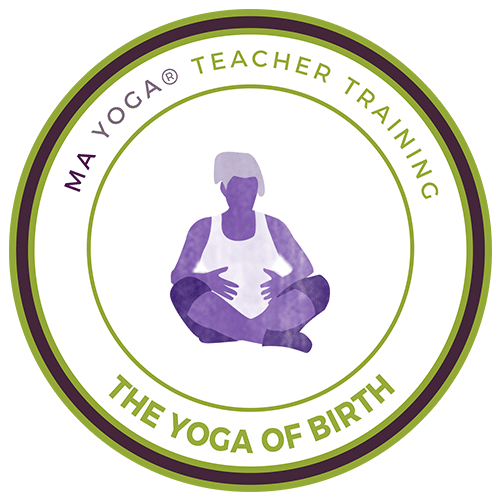 Not only will you be able to teach a prenatal yoga class with safe and effective themes, alignment principles and sequencing – but you will learn to use birth as your guru to learn to become a master co-creator in your own life. 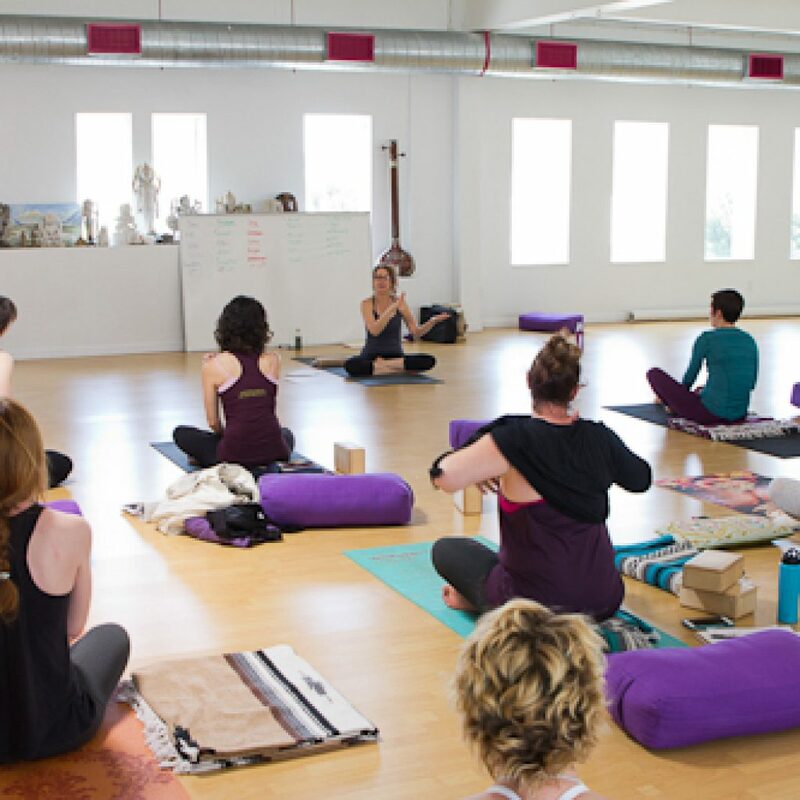 Be part of a growing, global community of Ma Yoga® teachers who support and nurture each other’s greatness! Not only was the weekend amazing in terms of education and instruction, but it was also so good for my mind and body. I feel even more invested in teaching prenatal yoga. This training is so well put together, the information is infinite, and I have a whole new love for pregnancy and motherhood. I can’t wait to one day hopefully teach and to be a part of Ma Yoga! I feel like I got more out of this one weekend than I did out of my whole 200 hour training. One of my personal goals as an instructor is to have authentic themes. That said, I had a major break through last weekend. I am so grateful for the tools I was given to make my teaching more meaningful, and I have already began to incorporate what I learned into my sequences and class prep. Thank you so much for an amazing & light-filled weekend!…It was tremendously helpful to engage with this material a second time, particularly after starting a prenatal class here. I hope you can come back and do this again next year! 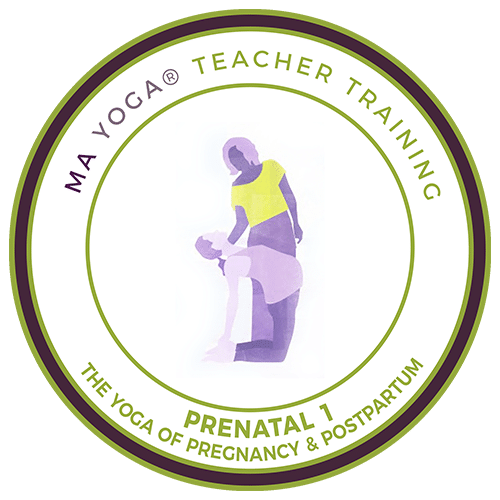 I would like to let you know that after completing the pre-natal teacher training, I not only feel more confident as a yoga teacher, but I also feel more comfortable as a woman. I thank you for inspiring me to help women to feel more like themselves during pregnancy through the practice of yoga. I just want to thank you so much and express my gratitude for such a wonderful weekend. It has helped temper my terror of the birthing process. The prenatal training was incredibly informative and fun. 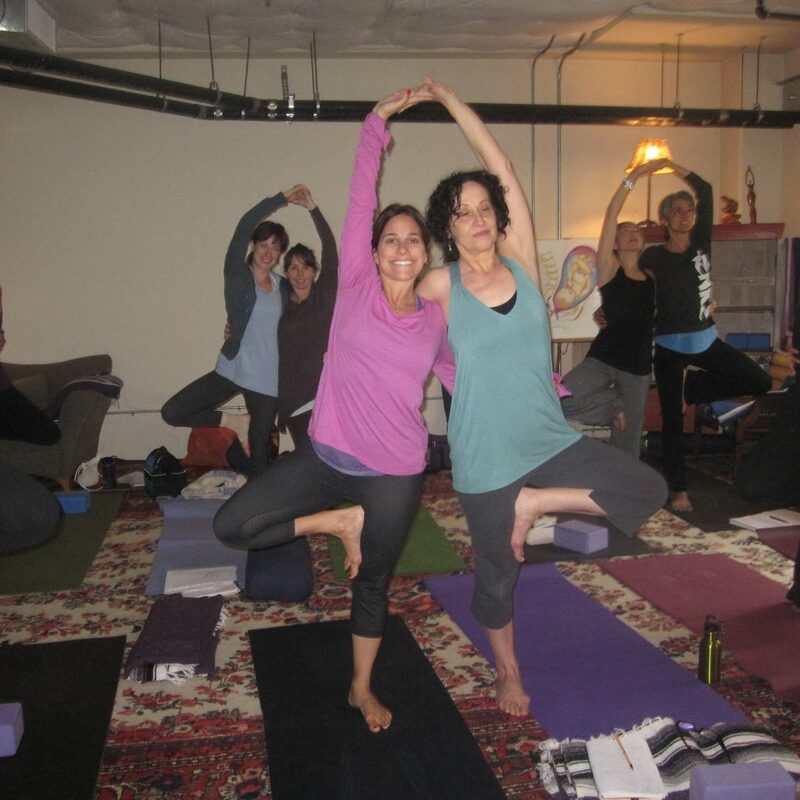 Because there is so little information in the area of prenatal yoga, Jessica’s enormous wealth of knowledge and experience is a wonderful resource. I currently teach prenatal classes, and after completing her training, I feel more empowered and my classes feel more fun and dynamic. I am so grateful I got to take the training, it has made a big difference. What a wonderful experience and in two plus days my perspective has really shifted. I came in simply to learn to be a better teacher to my pregnant students and left with a new appreciation for the birth process and for life in general. I now see the beauty in both pregnancy and giving birth. Being post-menopausal, I had reservations about taking Jessica’s Prenatal training initially, but it truly was one of the best gifts I’ve ever given myself. I feel a renewed sense of awe for all women, including myself. Thank you Jessica for a wonderfully informative and moving weekend! This was my first experience with alignment-based yoga. The training took my Kundalini yoga practice to a new level. The emphasis on principles of alignment and awareness of kinaesthetics has changed the way I teach and the direction I give my students. Thanks again for such a great teacher training. It was so wonderful to see both of my passions, yoga and obstetrics, come to life together. I learned a great deal from you! This was my second Pre-natal TT with Jessica. Jessica shares her knowledge with such grace that after the first one, I was equipped to begin teaching the week following my first workshop. A year later, another training with Jessica gave me additional teaching tools. I left with a deepening understanding of how we can help pregnant women use their yoga practice to move their bodies from a place of strength and beauty. On Tuesday night, I had 2 pregnant women in class! It was fantastic. We chatted for a minutes before class and went over some do’s and don’ts… And we generally made space for the baby. Both women did inversions that night, though not for very long. It was awesome. I felt like the few minutes before class was very liberating for them, because we focused on how we could modify poses and what they could do. Before your teacher training, I always focused on telling students what not to do. They both did full practices that night and were able to practice safely at the same time. It was such an inspiring workshop — I learned so much! You created such a wonderful, nurturing and comforting learning environment. I felt many of my fears melt and questions answered! 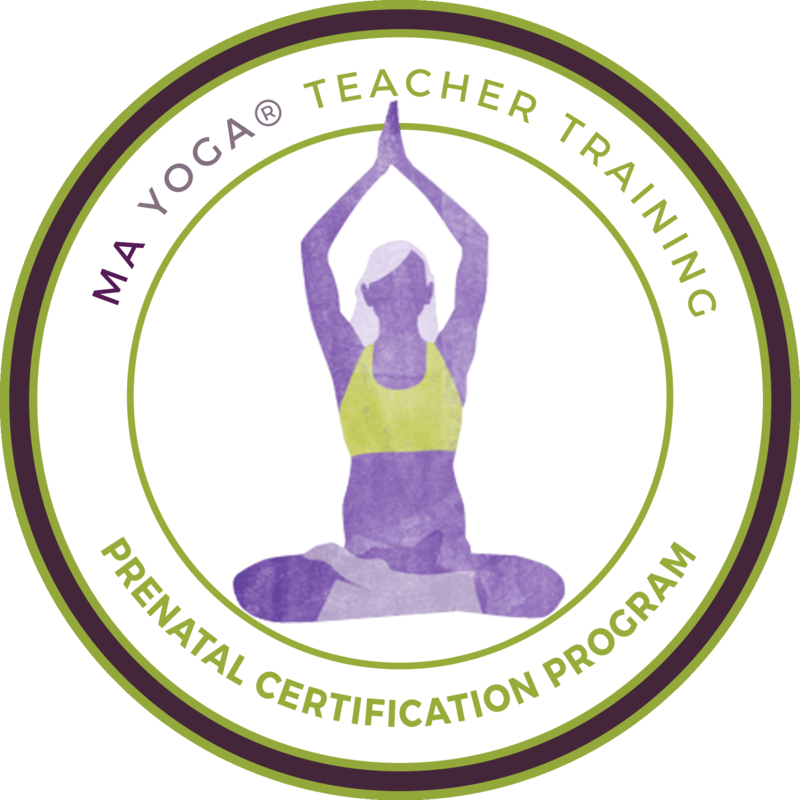 Thank you for kindling my spark for learning more about prenatal yoga! Attending this prenatal teacher training was inspiring and made me want to learn more and more! this workshop is important for us as women (and men!) and as yoga teachers; providing ourselves and our students with information and support about pregnancy, labor and birth is essential. 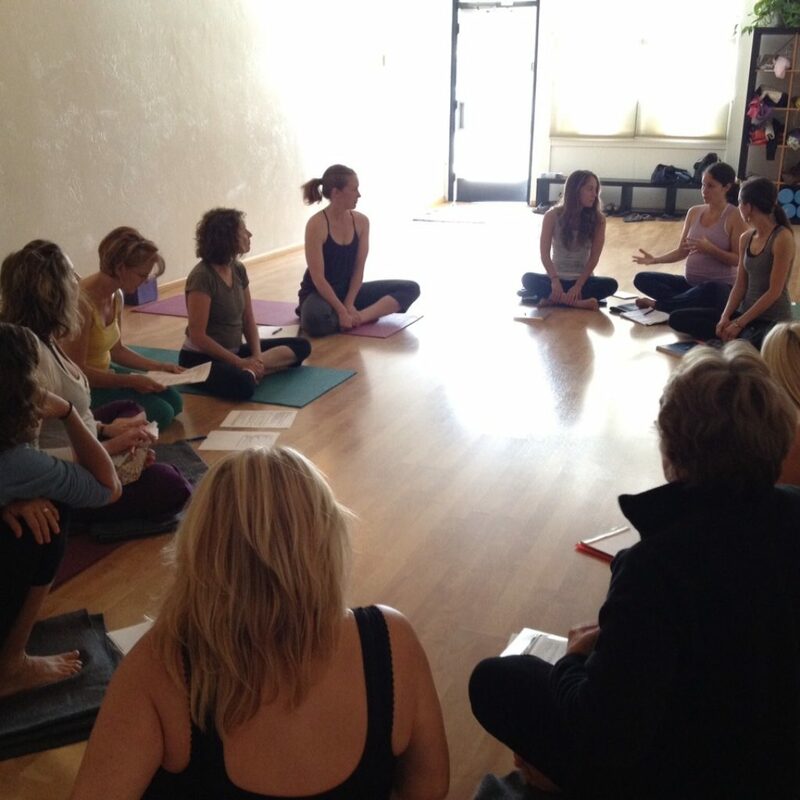 I attended the Yoga of Pregnancy Teacher Training and it was an invaluable addition to my yoga education. She is clear, thorough, dynamic, and … as the only male in the training … she made me feel so welcome and comfortable. This training will allow teachers of all levels to feel more confident when a pregnant student steps into their classroom. 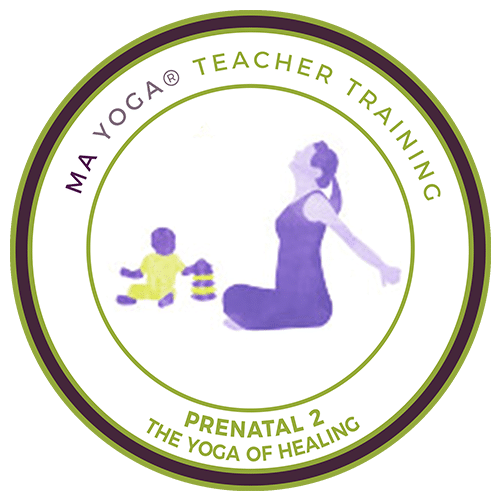 The information I learned in the Prenatal Yoga Training was not only accessible, full and insightful, but information that I feel I can use in my teachings with all students, pregnant or not. Jessica brings to her teaching knowledge, experience, humor and a pure love for what she does that literally beams through her. It was a golden experience! This prenatal training helped me connect more deeply with my femininity and my practice. 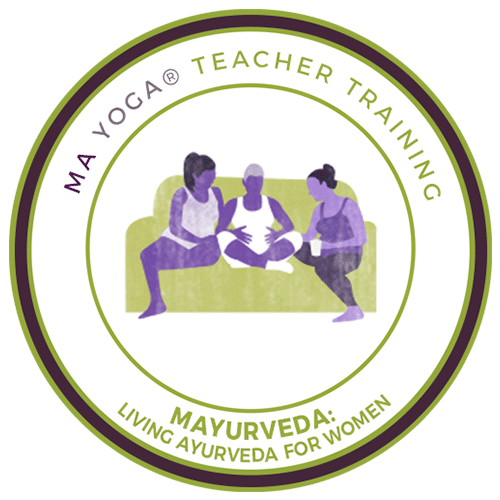 The information was presented in a clear, soft and useful way, and it inspired me to dive deeper not only into Pregnancy yoga but into myself, my body, my practice and my teaching. Thank you Jessica for sharing your wisdom and energy and for opening new doors for women to explore their pregnancy in a safe and creative way! The training this weekend was absolutely beautiful and inspiring. Your email came in just as I was creating a new sequence to teach to my new Mommies tomorrow morning, incorporating the inspirational movements and techniques that we learned. I do not know where the path may lead for me in prenatal in the future, but I do know that I love teaching it, and now feel even more confident and inspired. I personally think every teacher should be required to go through Jessica’s training, not only to know how to address pregnant women, but to also discover a unique approach to learning about specialties in health, and to experience the wisdom of an authentic teacher/explorer. I was 8 months pregnant when I took Jessica’s prenatal teacher training and was so happy to find (finally) a prenatal program that reflected my experience–that my body was still capable and it wanted to practice. She has incredible respect for pregnancy and her intelligent alignment notes proved helpful to me in labor–internal rotation plus external rotation = more space for baby–even when he is moments away from greeting the world! Thank you so much for offering and teaching your prenatal TT. It was invaluable. I taught my class today with a newfound sense of knowledge and confidence. Your essence stayed with me and infused my thoughts and actions. Thank you, thank you. If the timing is right I will take it again, that’s how much I enjoyed it. I came to “add something” to my teaching and what I received just blew me away…I am humbled by the creative force and beauty of nature and how the principles truly support this so clearly. This is the place I want to move from in my practice and in my life! This was just what I needed and did not even know and I walk away with deep connection and great trust in what I am doing. Until I took your training I didn’t understand how to integrate [therapeutic alignment principles] into my prenatal yoga classes… Now I’m teaching prenatal yoga that is deeply rooted in the alignment-based yoga tradition… Through your course my understanding of theme-ing has deepened so much… I love how you shared with us how you set a theme for your day & how you use your personal daily theme for your classes… You gave me a lot. I attended Jessica’s workshop not as a yoga teacher, but as a pregnant woman and yoga practitioner for ten years. Jessica’s course taught me how to modify basic poses through positioning and the use of props that have made it possible for me to take any yoga class, to continue to study with my current teachers, and to feel safe and confident doing so. The most important lessons I took from the weekend workshop are these: As it turned out, I subsequently lost that pregnancy to miscarriage. Devastating as it was, the lessons I learned in the workshop helped me come to terms with what was beyond my control. And now that I am pregnant again, and happily in my 14th week, I rely on these same lessons now. I LOVED every second! After this course I would say my teaching became significantly better; for all students, not just the pregnant ones. My understanding had deepened, my own practice improved. Instead of feeling anxious about teaching pregnant ladies, I felt so excited and empowered, that I straight away started teaching pre-natal classes, private sessions and Mom and me classes (which very quickly covered the cost of the course). 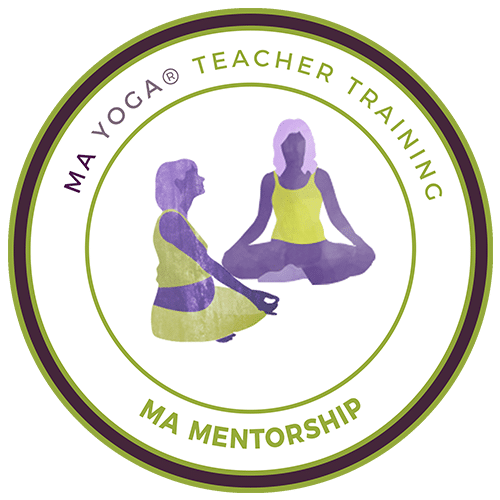 On Saturday, we delve into the five Ma Yoga therapeutic principles of alignment and learn to apply them to the physiological and emotional changes that arise in the different trimesters. Learn variations of poses to accommodate mamas changing body, and optimal sequencing and theming for pregnancy. 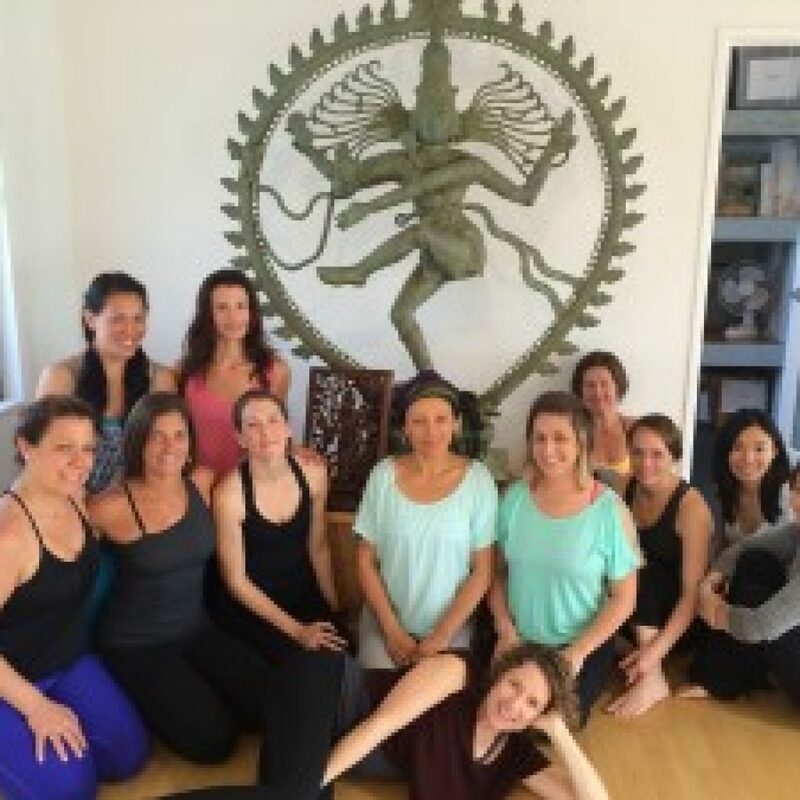 celebrate the completion of the Yoga of Pregnancy and Postpartum training!